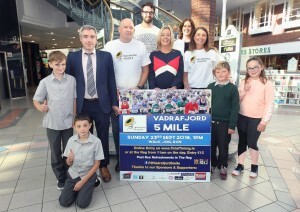 City Square Shopping Centre are delighted to be one of the main sponsors for the Vadrafjord Waterford Hospice Run on Sunday September 23rd. All funds raised go towards the construction and running of the new Waterford Hospice. The cause is very close to the hearts of many people in Waterford and indeed across the south east.